Don’t we feel strange? Why the protagonists of two hit Wednesday and Thursday drama series are both prince? 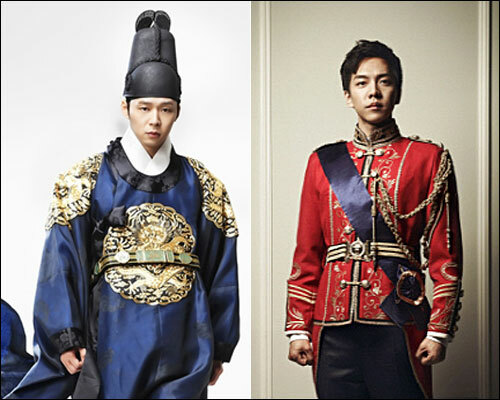 One is the prince of South Korea with fictional constitutional monarchy, who become the king after the death of preceding king, his brother. Another is crown prince of Joseon Dynasty who travels through time to come to 21st century South Korea, and become the grandson of a chaebol family, using the black credit card without credit limit without hesitation. 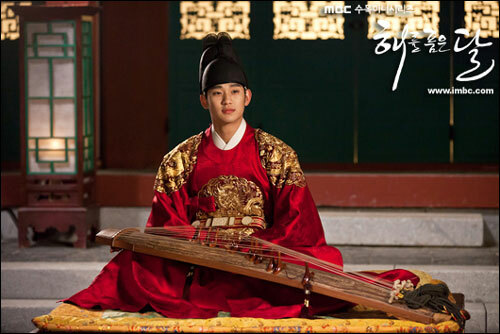 Moreover, “The Moon that Embraces the Sun” which will become the most popular drama of the year if without unforeseen circumstance, has been attracting the hearts of female since the time of crown prince played by Yeo Jin Goo for the role of Lee Hwon played Kim Soo Hyun. What makes the 21st century so eager about prince? Mentioned about will surely think about Cinderella. The prince who come riding on a white horse is the person who saves the poor and scared her from the abyss to become Princess. According to the most well-known psychological syndrome “Cinderella complex” in the women’s studies, even if it’s not the Cinderella in fairy tale, women are also very much hope of the arrival of a prince charming, so that they can become Cinderella. According to evolutionary psychology, after women in pregnancy and gave birth to a baby, regardless of appearance, they’ll be attracted to the man as long as he could comfortably raising her child. After the manager, it’s not enough with just chaebol man, now even the prince is appearing on the Korean drama, isn’t it fully reflecting the women’s instinct? Where are those strong candy? But let us recall, before the return of the these princes without distinction, those success stories of strong and brave girls also had a high popularity. Lee Han-i (Kim Hee Sun) in “Tomato”, the previous drama of Lee Hee Myung, writer of “Rooftop Prince“, is a talented high hells designer who is bright and strong despite poverty. Du Ru Mi (Lee Ji Ah) in “Beethoven Virus”, the previous drama of Hong Jin Ah, writer of “The King 2 Hearts” is the same. Without her, the person like Kang Gun Woo who has weaknesses everywhere is unable to control an orchestra. The another novel of the writer Jung Eun Gwol of “The Moon that Embraces the Sun”, the protagonist Kim Yun Hee enters the Sungkyunkwan which is full of men, and strongly does the things that only men could do, earning the title of “daemul” (big thing). Even in another drama of screenplay writer Jin Soo Wan of “The Moon that Embraces the Sun”, “Capital Scandal”, Cha Song Joo (Han Go Eun) takes the lead to participate in armed struggle. Although there is also help from the lead male characters, but the most important thing for the lead male characters in still the realization of their dreams. But in recent TV drama series, they have changed. Carefully look at “The Moon that Embraces the Sun”, the passiveness of heroine Heo Yeon Woo (Han Ga In) couldn’t help but letting one suspects if it’s the work of same writer. Although she has the fine quality and smart, but in the tornado of fate, she is just drifting along. When grew up, she become a female shaman, but before she reunites with Lee Hwon (Kim Soo Hyun) and recovers her memory to become the women of Hwon again, she did not do anything on her own. The top special forces instructor, comrade Kim Hang Ah (Ha Ji Won), in “The King 2 Hearts” is similar. So far, the comments for her are, this is the most beautiful and lovely role among her filmography, and does not show the bright spot of her as the special forces instructor, just been drawn into the love or the childishness so to speak of a man, nothing more than always injured and wronged. Park Ha (Han Ji Min) of “Rooftop Prince” is a strong and bright heroine who lost family members at 9-year-old, and does not been affected negatively. But comparing to her, the evil woman Se Na (Jung Yoo Mi) is sometimes more like the heroine, as she actively explores her own fate. At a moment, Park Ha is drawn into the gang of crown prince, dealing with the aftermath done by them, while the work is there thanks to the blessing of mother, the role is completely an innocent type that can be summoned at one’s desire. In contrast with lead actresses, ability of prince who is beyond manager and chaebol man is maximized. As said earlier, in “Rooftop Prince”, because of Se Na, Park Ha almost faces with the crisis of been driven out of rooftop apartment, but is resolved by Lee Gak by just using hair cut as the trade, and he also renovates the rooftop apartment to the standard of a villa, and buys new clothes for Park Ha who wants to go for blind date. Even if there is limitation of the constitutional monarchy, the South Korean prince Lee Jae Ha (Lee Seung Gi) who dallies with Hang Ah but still lives very comfortably is certainly not inferior. Even Hwon in “The Moon that Embraces the Sun” also unlocks the clues all of a sudden, and earning the title of “detective Hwon.” Of course, he also sees through the treason of courtiers in advance and counterattacks. He is really intelligent, good in martial arts, and even good in been humorous. What does such an imbalance distribution of ability of lead male and female characters means? Why the theme of drama series which used to based on the realization of dreama of heroine, has now become the situation where regardless of dram or love, everything is controlled on the hand of prince? Is this the way to satisfy the fantasy of modern women who couldn’t realize their dream through own efforts? Is drama series induces people, or things that people likes are been made into drama series? Is drama series used to fill the unbearable reality? Or to forget the aphrodisiac in reality?